I understood that you couldn’t make bookings so we tried to get there as close to opening time (6pm) as we could. We arrived at about 6.20pm (it was footy final season and there was a cracker match on that we needed to watch until the end) and by then nearly every table was taken. 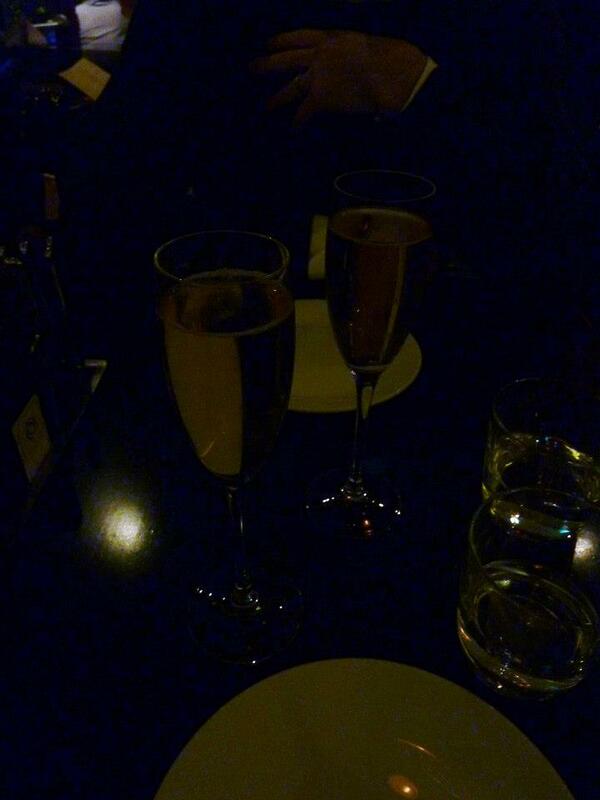 Thankfully on this chilly evening we were ushered inside and there was a spare table for us – yay! It was a cosy place, quite dark lighting and clearly very popular. We started with a glass of bubbles, to celebrate Saturday I guess :), and then each ordered a glass of wine, both white on this occasion. I went for a chardonnay of which I can’t remember the name, but I believe it was from Pemberton, while GG went for a Stella Bella Semillon Sauvignon Blanc. It was slightly entertaining when the waitor bought each of us our glasses. One sip and we knew we’d been presented with the wrong one, but a quick switcheroo and things were sorted. 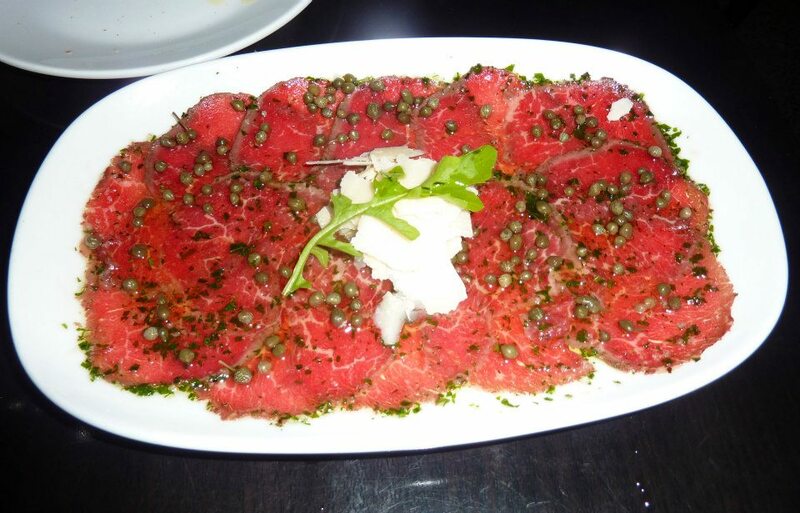 We had decided that we would share a starter and being long time fans we went for the Carpaccio – Thin slices of beef fillet, white truffle oil, capers, shaved Parmesan ($20.50). It didn’t take too long to arrive and we also opted for some bread to help fill the void ($4.50). 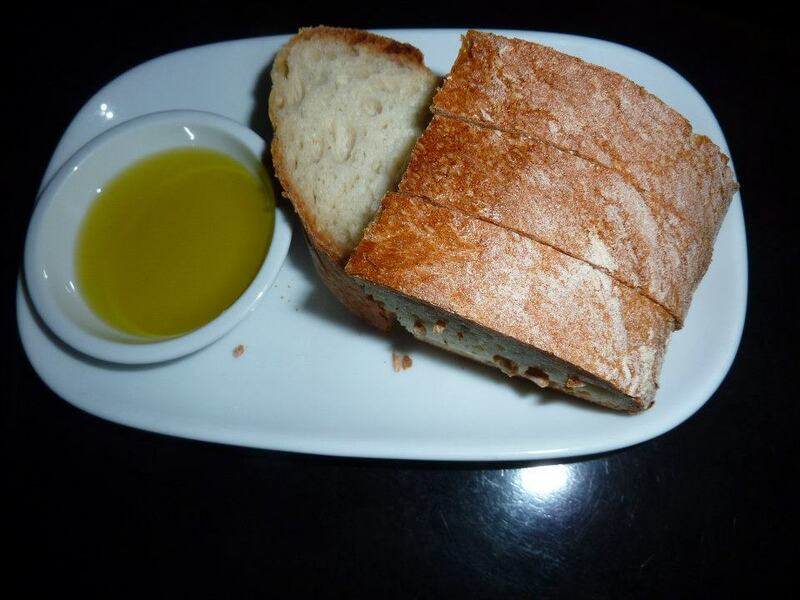 They had a bottle of olive oil available on the table which is always a welcome addition with fresh, crispy bread. The carpaccio looked fabulous. Really fresh and you could smell the heady scent of truffle oil as soon as the plate hit the table. It was a delicious introduction to the culinary fare of lovely La Lola. While the entree had helped to put a dent in my unfailing appetite I was still looking forward to my mains. 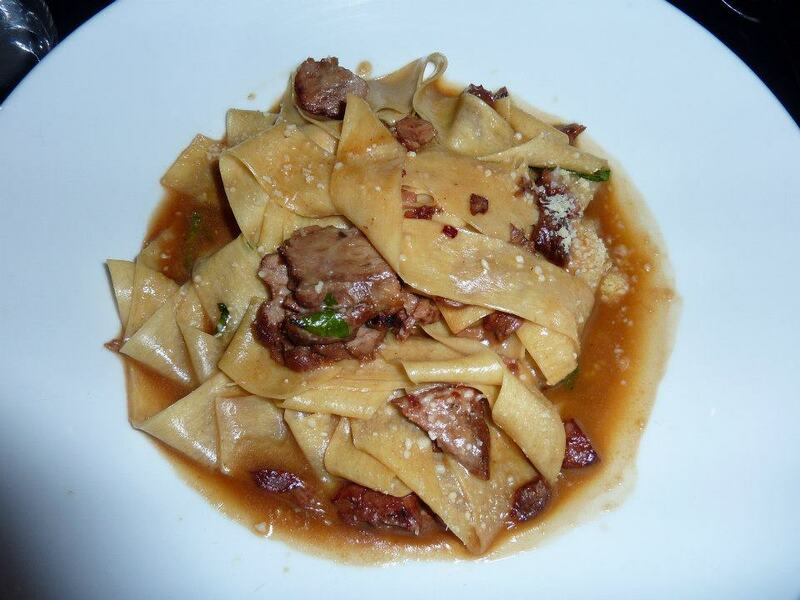 I had chosen the Pappardelle – Fresh pasta, veal & porcini mushroom ragù, rosso vermouth, basil, grated Parmesan ($31.50), while across the table the Fish of the Day took GG’s fancy. 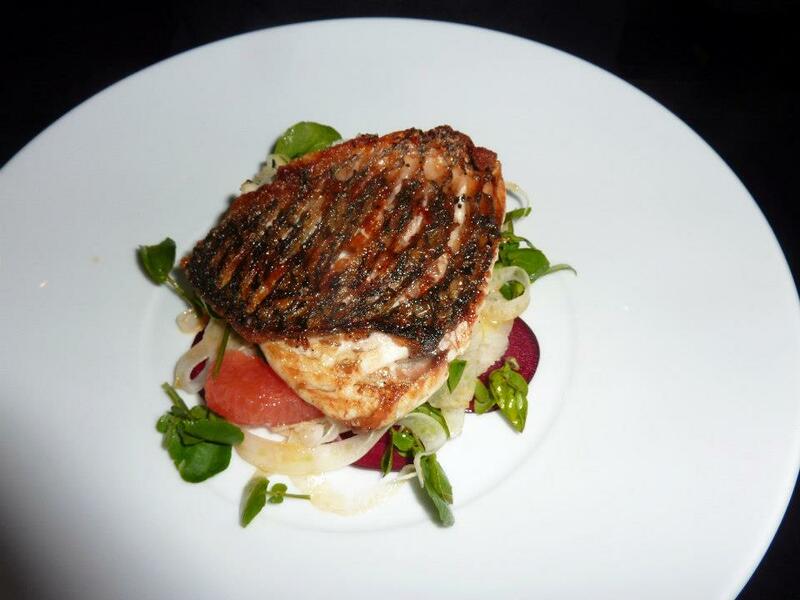 Crispy skin barramundi, pink grapefruit, fennel, shaved beetroot, watercress salad, mandarin oil ($38.50). I love pappadelle, putting it out that its my favourite type of pasta. Though that may be a big call…. ravioli can be pretty special too…. it’s a tough one, but I can say with confidence that it is high on the list. The luxuriously large ribbons arrived. The veal and porcini sauce had such depth of flavour, it was entirely divine, and I particularly liked the inclusion of basil. The pasta itself was melt in your mouth material – cooked perfectlly. It was a sensational dish of pasta, would have it again in a flash. I was also lucky enough to score a sneaky bite of GG’s dinner. What delicious fish it was, a white flakey wonder, and such a refreshing salad on the side. I particularly enjoyed the zap of the grapefruit. Very nice! Oh la lola! The colour of the carpaccio is magnificant!